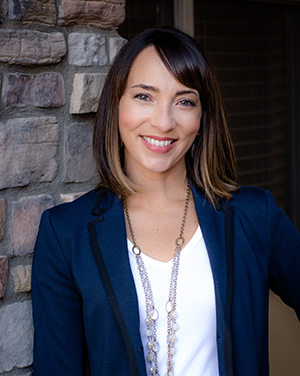 Whether you’re looking to invest in a new property, or you’re trying to sell your current home, Angie is ready to work hard to help you achieve your goals. Angie has been a licensed Real Estate Agent since 2003. She represents her clients best interests as a Seller's Agent and Buyer’s Agent. She handles all of the details of your purchase or sale in a timely manner to ensure you are well informed every step of the way. Angie has worked on literally hundreds of purchases and sales over the 15 years of working in Fort Collins and Northern Colorado. She had the pleasure of working on one of the highest volume real estate teams in the area for over 10 years, which has given her unparalleled experience in thriving and down markets. Her energy, professional contacts, and vast resources are available to make her clients’ home buying/selling experience as smooth as possible. Angie attends continuing education classes regularly focusing on the latest contract negotiation, sales and marketing trends, title insurance, and finance. Angie’s goal is for your buying or selling experience to be as smooth as possible and to provide you with high communication, education in the market, and outstanding customer service. Angie has lived in Fort Collins since 1999. She has been married to her high school sweetheart for over 25 years and she is the proud mother to an energetic daughter that keeps the family on their toes! Having lived in Georgia and North Dakota, she has settled in Fort Collins as she feels it offers an exceptional lifestyle for her family. Angie enjoys hiking, skiing the Rockies, yoga, good food and wine, reading, spending time with her family, and hanging out on a sandy beach whenever possible.